Linda Smith is the real deal. She is open, honest, and ‘tells it like it is. 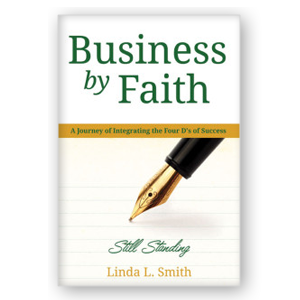 Hello, I am Linda Smith, President/Founder of Life & Legacy. 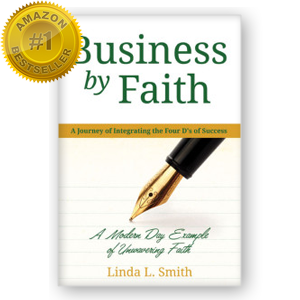 I am a #1Amazon Bestselling author of Business by Faith, a trilogy of books that highlights my incredible journey of faith from disheartened child to influential college president. My unique journey also serves as the basis for many of my motivational talks. As a highly sought after speaker, I am honored to empower and educate a variety of audiences from youth and teens to entrepreneurs and seasoned professionals. Thank you for visiting my website. Please take a look around. To order books, click Book Store on the main menu under shopping. If you are a meeting planner and would like to hire me to speak, please contact my Events Coordinator at (951) 442-2403 or use my online scheduling system found HERE. For more Contact Info Click This Link. "We greatly appreciate your presentation to our campus as part of our Women Who Lead Initiative. Your experiences and expertise were especially inspiring for the students, staff, faculty, and administrators. Your comfortable style brought an immediate response of the audience wanting to know more of your perspectives on how to succeed in a career. The strength you bring as a leader with a vision and purpose is a role model for people at all levels of their career. The written responses from the participants indicate they were inspired and that you provided them with useful advise that can impact their lives and professional aspirations." I invited Mrs. Smith to speak to our juniors at our site. I work at a continuation high school where many students are disengaged. I knew Mrs. Smith’s message had to be powerful to resonate with our students. The moment she began speaking, I was impressed with her message. She told them to, “sit up straight, pick your heads up”. She talked to them about a second chance. This is exactly what our students needed to hear. Mrs. Smith is such a positive, enlightened role model. Our students appreciated her inspiring words. We would love to have her come and speak to our students again. Linda Smith brought a moving and stirring message of hope to the congregation of Victory Community Church. Her message was powerful and life changing. Her use of storytelling, humor and wit captivated the audience, and all in attendance left feeling inspired, challenged, and motivated to move into their greatness. Linda Smith is a very engaging and inspirational speaker. She came to our community and just wowed our crowd with her experiences and accomplishments. Her words were uplifting and insightful as well as genuine. Linda's overall messages of dedication, never giving up and faith were well received. We would definitely have her back again. Filip Westlander, President Alpha Beta Gamma, Orange Coast College We are a business honor society at Orange Coast College, constantly seeking influential speakers like Linda. We have in the past welcomed various guest speakers to our campus, but few could give such valuable insight in running a successful business as Linda L Smith. Linda is truly an admirable person delivering contagious energy to her surroundings. Her remarkable life story and work ethic amazed us as we have had many great discussions about her after the visit. Her presentation was very organized and straight forward. It was clear to us that it was custom made to fit our society perfectly. During Q/A, we gained knowledge about business from Linda that even Google has been unable to give us. I highly recommend Linda as a guest speaker to any company or group of individuals aiming for success within business. Awareness of Linda's aspects and values of life will change the way you look at things and help you reach your goal.